To Sonorous III είναι ένα ακουστικό υψηλής ποιότητας για hi-end ακροάσεις με προσιτή τιμή από τη Final Audio Design. The flagship model SONOROUS X employs a driver unit integrated with the front plate, which results in resonance being suppressed and clear sound quality. 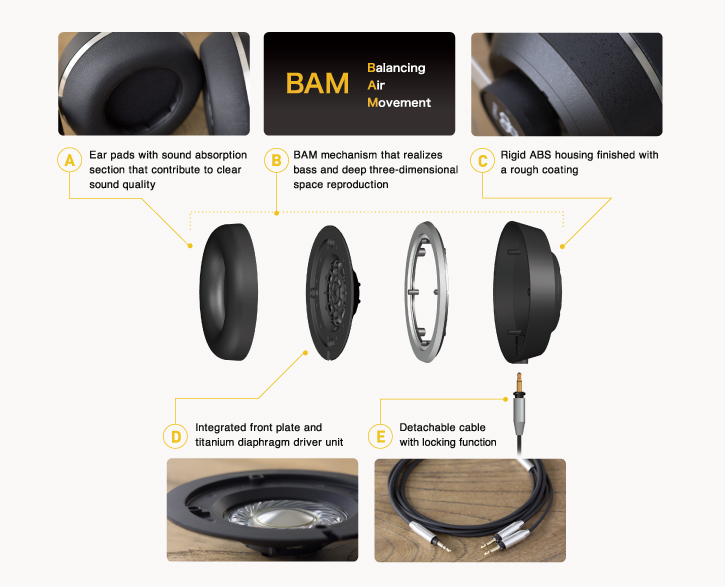 Here, clear, transparent sound combined with a vast sound stage is generated owing to the same titanium diaphragm employed with SONOROUS X.
We’ve achieved sound quality that faithfully reproduces the source music and is pleasant to listen to. which has an equal amount of flexibility both horizontally and vertically, and have chosen a sponge with just the right amount of flexibility. Establishing apertures on the inside and the outside of the ear pads makes for clear sound quality with sealed headphones. an extremely accurate level based on new knowledge expertise gained from the development of SONOROUS VIII and SONOROUS X.
respect to the molding material was achieved. A textured finish that is also used with high-grade camera lenses is applied, and unnecessary vibrations are suppressed. with 30% glass added to it. Resonance is suppressed and clear sound quality is achieved. Titanium has been employed for the diaphragm. This plays a role in enhancing resolution and the generation of high frequency harmonic overtones. A metal plated monaural plug with a diameter of 3.5mm is employed for the connector on the headphones. By employing a connector with a long track record, trouble resulting from poor connection through changes over time is avoided. This is a cable with a locking mechanism that rotates 90゜.